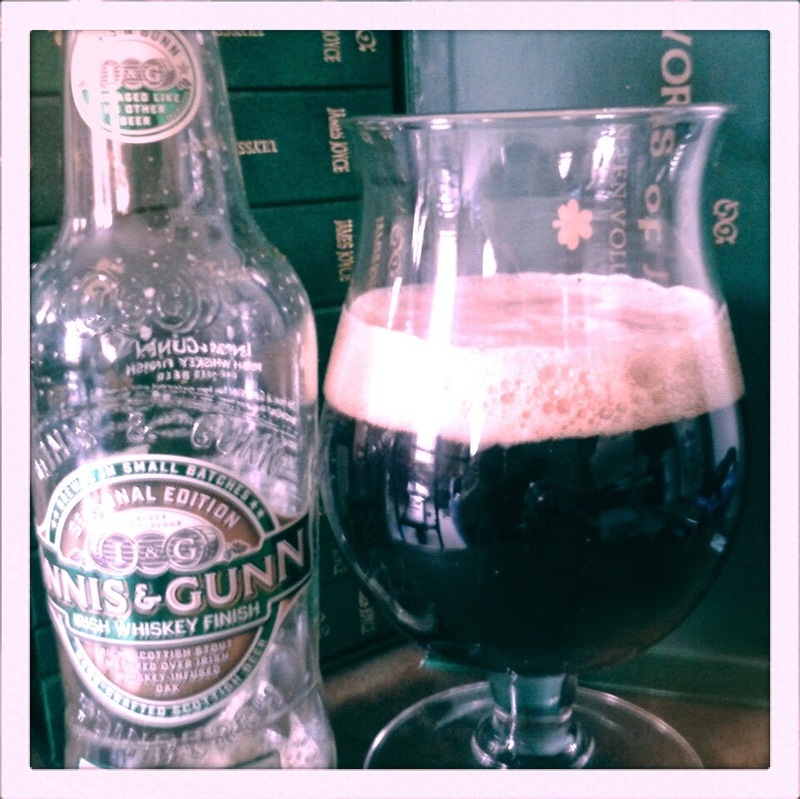 Innis & Gunn are veritable powerhouses of the barrel-ageing game, and with the hilarity of their recent April Fool’s Day prank (wooden bottles indeed! Not that I believed them or anything) clogging up the internet I somehow missed the fact they had released a Scottish stout aged in Irish whiskey barrels. Luckily the supermarket staff had CPR training, but still I was dead for ten minutes and saw nothing. From the crack and hiss of the bottle opener doing its job the scents of Brazil nuts and spices- chiefly among these a kind of burnt cinnamon smell- come tearing out of the slender neck. The pour gives birth to a riotous, unruly inch of head that berserks itself against the sides of the glass before grudgingly retreating down to a couple of millimetres of buff-coloured bubbles. 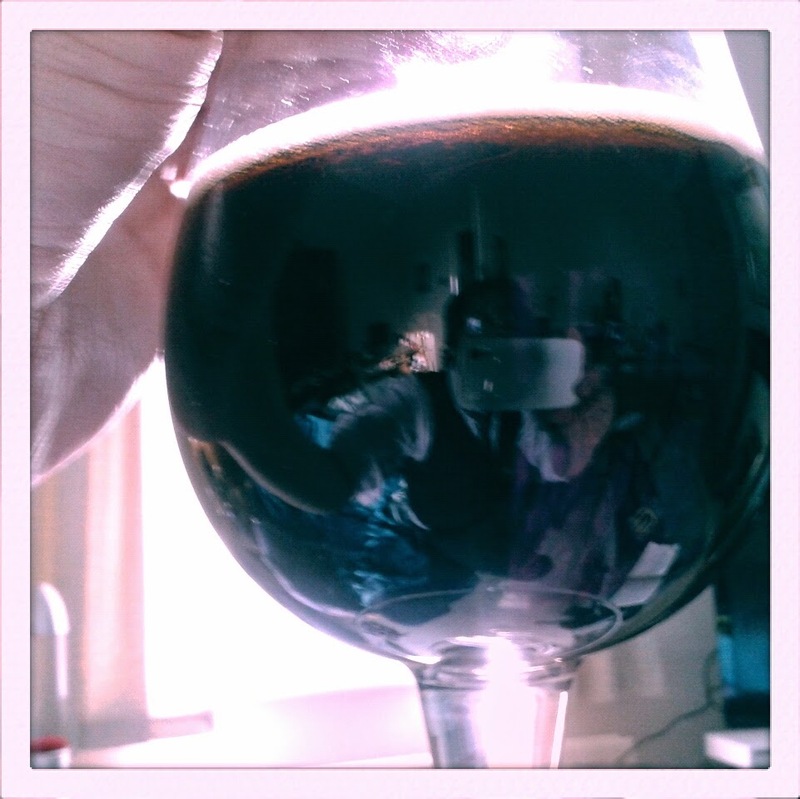 Beneath this rough meridian the beer itself is black as a primeval pagan night. Even with the sun directly behind it it’s still of more use as a mirror than a beeroscope. Only direct sunlight reveals the smallest tinge of the bloodiest red. This beer not only tastes and smells its 7.4% abv, it looks it as well. The nose is made up of sharp, sugary notes of molasses and treacle, with an undercurrent of burnt peat, and the first taste hits the senses like a steamhammer as roasted spices, charred wood and incinerated chocolate coruscate over the tongue and burn their way down the hatch. After this initial charge of flavour a drink is revealed that is rich, bitter and smooth but with an obvious indication of its alcoholic strength ever present in the heat it applies to the mouth and other head holes. Further mouthfuls unravel the sweetness of this stout, and the tastes of rich decadence hang ferociously onto the teeth, making demands that they be fed red meat and cigars without further ado. A hearty glug sees the drink catch at the back of the throat, with the taste of the barrel-wood very evident, and by halfway through the drink this reporter’s skull was feeling quite warm indeed, with the bitter aspect of the taste leaving the slightest hint of salty tears on the tongue, before they were washed away by a subsequent glugs. A chocolatey theme seems to lie over the aftertaste as the glass empties and the journalist fills, and with the final few mouthfuls the whiskey shows its hand to its full extent, appearing with gusto and escalating things quickly until the last head-back, mouth-wide imbibe is almost pure, decadent, whiskey delectation. The only thing that stopped me instantly opening a second bottle was that I had only bought one. 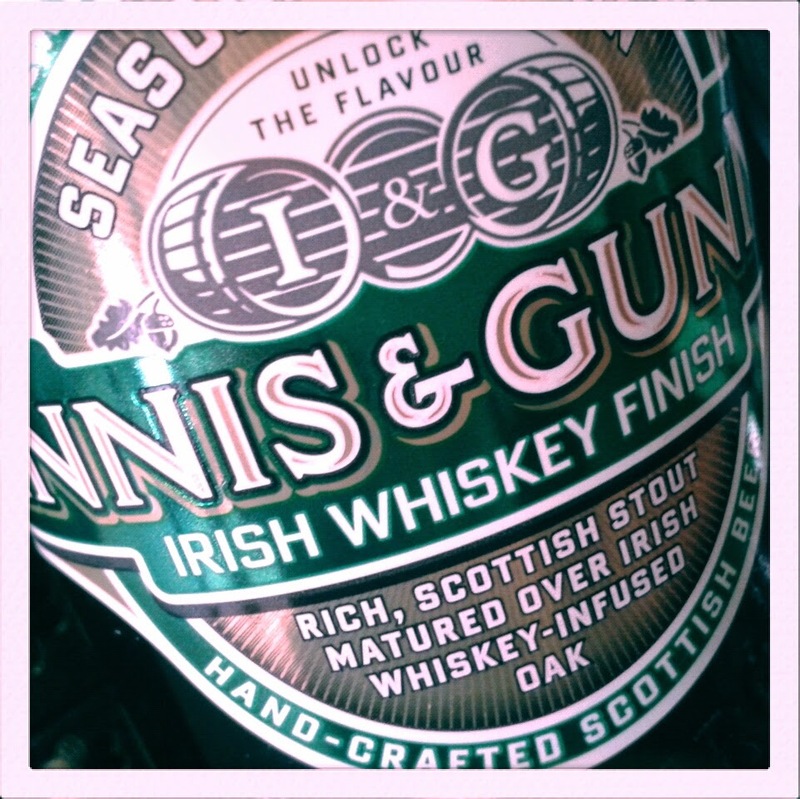 Innis & Gunn have nailed it again. This is a wonderful beer which can be drank in a variety of settings: pair it with good quality steak, or a crazy selection of dark chocolates, perhaps. Or drink it as the sky turns to blood and the banshees are screaming out for the death of the world.